Made in America? Really? What does that mean? “Stuff that works, stuff that holds up.The kind of stuff you don’t hang on a wall. So I lifted the hood of his newly purchased green John Deere and found the serial number plate,– A Mitsubishi motor married to a Yanmar tractor assembled in Osaka, Japan. It resembled his old John Deere two cylinder Model 420U because it was painted green, but therein the similarities ended It was a dog in my estimation…and I believe that he would have been more comfortable operating the Kubota I thought he should have. Its pretty confusing today trying to buy American, such to the point that you have to read the fine print just to find out who exactly did produce it. For example: Case – International Harvester is pretty much an American Company, right? Recently they introduced a new line of low horsepower tractors to the market and branded them Farmall after the venerable predecessors with the same name that successfully butted marketing heads with John Deere in the period from the late 1920’s to the mid 1980’s. I was looking for a no frills tillage tractor with about 90 hp and the new Farmall 95 seemed to be what was available to me. The verdict is still out on whether it is a good tractor or not, considering the active life of tractors can span anywhere from 20 to 35 years and its only 3 years old. 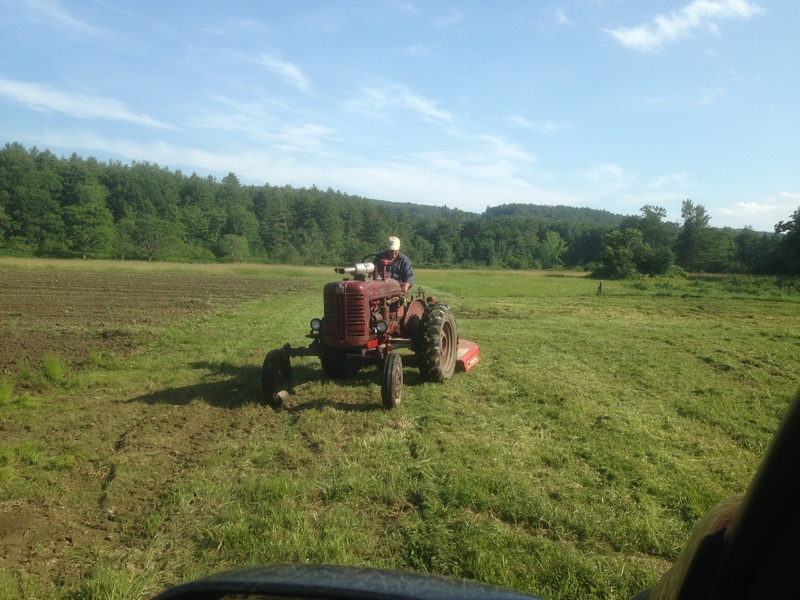 (We still use actively 6 tractors that range in age of 35 to 60 years). Turns out my Farmall 95 is in reality a Fiat tractor put together in Ankara, Turkey and the loader on it is built in Sweden. It’s American in name and paint scheme only. Wait! 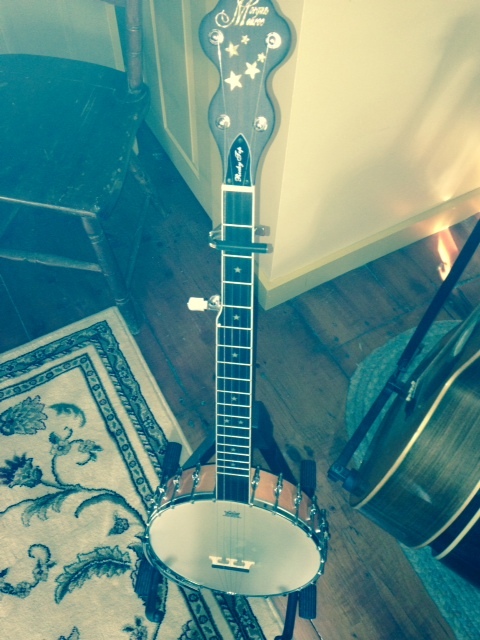 What about the new clawhammer style banjo I just bought form the Morgan-Monroe Banjo Company? Sounds pretty American, doesn’t it? Wasn’t Bill Munroe the father of American bluegrass music? Yeah, but his namesake banjo was built by oriental luthiers in China. And, like a lot of the pacific rim instruments ( and farm machinery), it’s pretty reasonably priced and pretty well made. And if this isn’t baffling enough….my old 2004 Toyota Tacoma truck was assembled by American workers in Atlanta, Georgia. And it just so happens that Atlanta is also home to a plant that assembles Kubota tractors. The interesting thing is that quality used to be synonomous with the American name. Its a great deal more complicated than that now. I maintain that the chessey sheet metal fenders on my Kubotas wont be around in 50 years, but my little 245 Kubota tractors don’t cost any money to run, are easy to get parts for and I suspect if I can keep a seat on them and decent rubber under them those little motors and transmissions will make 50 years of farm work long after their fenders turn to dust. And my little Georgian 2004 Toyota truck is as comfortable as any sedan, and has given me 98000 trouble free miles with a little brake work, oil undercoating biennially, and a piece of the muffler replaced. Cant beat that with a stick, as the locals would say. I like supporting the local economy as much as possible. Buying American made goods is a natural extension of that, and I am willing to pay some extra for that privilege. But determining what is produced in the US and is produced elsewhere is now a complicated proposition made more complicated by the American companies like Case IH who slap branded American names on overseas products. Are Carharrt pants still made in America? I better check. Levis aren’t….. Previous PostThe State of PYO Strawberry Picking vers;2014Next Post2014 Growing Season….Its a Wrap, Folks!